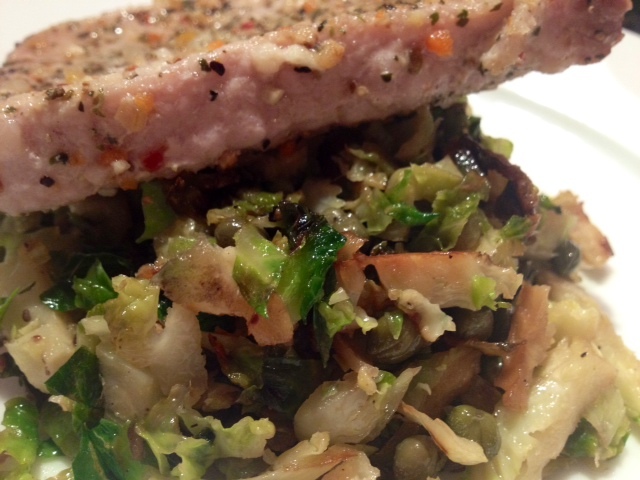 Garlic Pork Chops With Shaved Brussel Sprouts & Capers. As our wedding approaches, I’ve been cooking more meals that are focused on protein and vegetables. 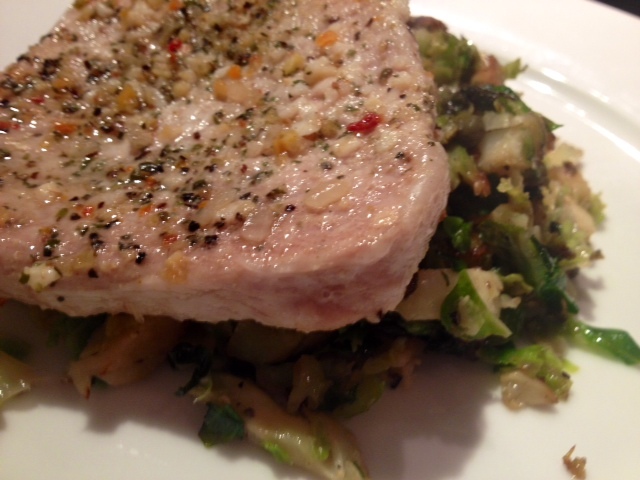 This recipe is great because there is very little added oil and the pork chops are extremely lean. Not only that, this meal only takes 20 minutes to cook, so you can cook this up no matter how busy you are! Even with the low-carb, low-calorie appeal, this dish is still full of flavor! 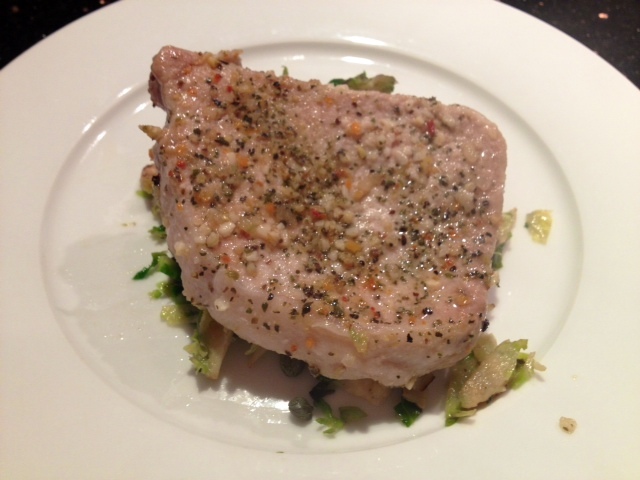 Season each pork chop (on both sides) with a small spoonful of minced garlic and rub it into the meat with the back of a spoon. Then season them with a generous dash of 21-Seasoning Salute and garlic salt. Place them on a non-stick cooking sheet and cover them with tin foil. 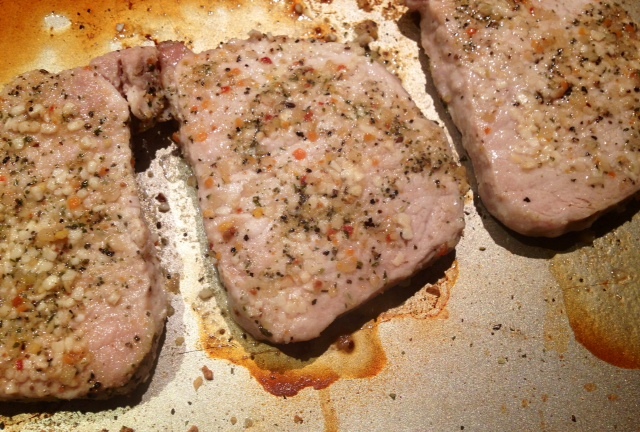 Cook the pork chops on 350 degrees for 20 minutes. 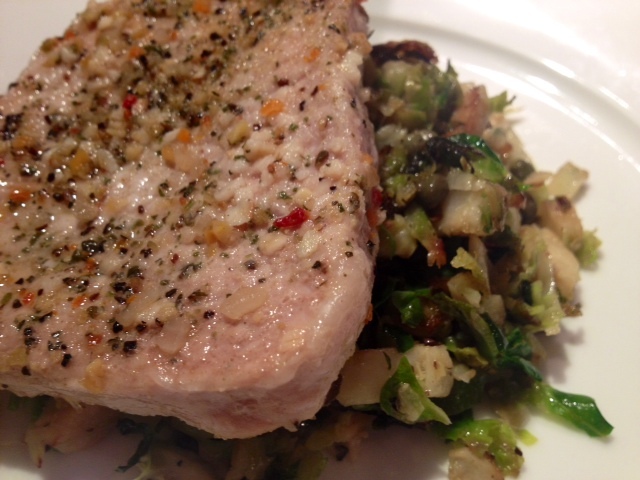 While the pork chops are in the oven, heat 2 tbsp of olive oil in a pan on medium heat and add in the shaved Brussel sprouts. 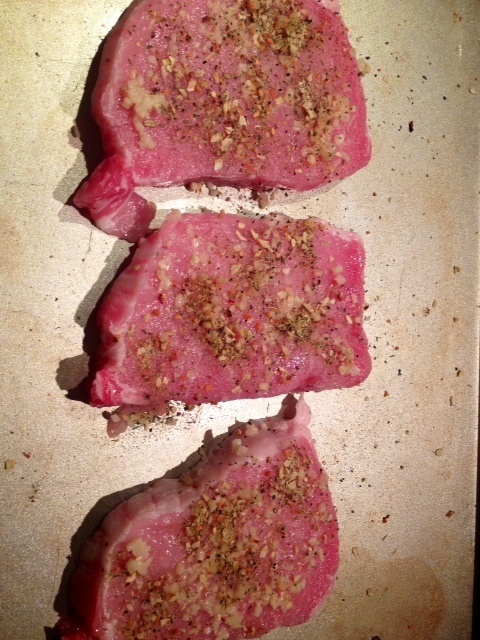 Season them with a dash of garlic salt and freshly ground black pepper. Cook them for about 10 minutes, stirring often, and allowing them to brown slightly. 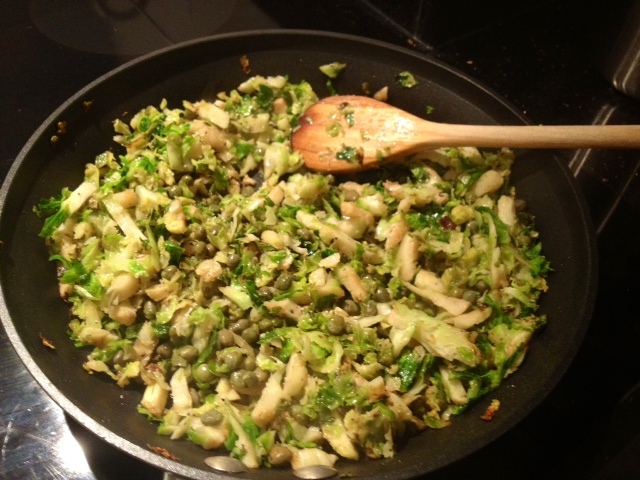 Add in the capers and stir well to combine. 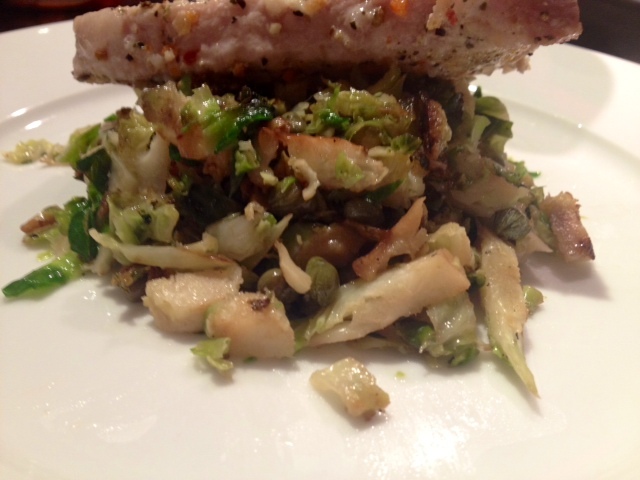 After the pork chops have finished cooking, plate the shaved Brussel sprouts and place pork chop over top.